Attention, drink-slingers and the degenerates who love them: it looks like The Johnsons, the Bushwick offspring of Lower East Side staple Welcome to the Johnsons, is approaching go time. 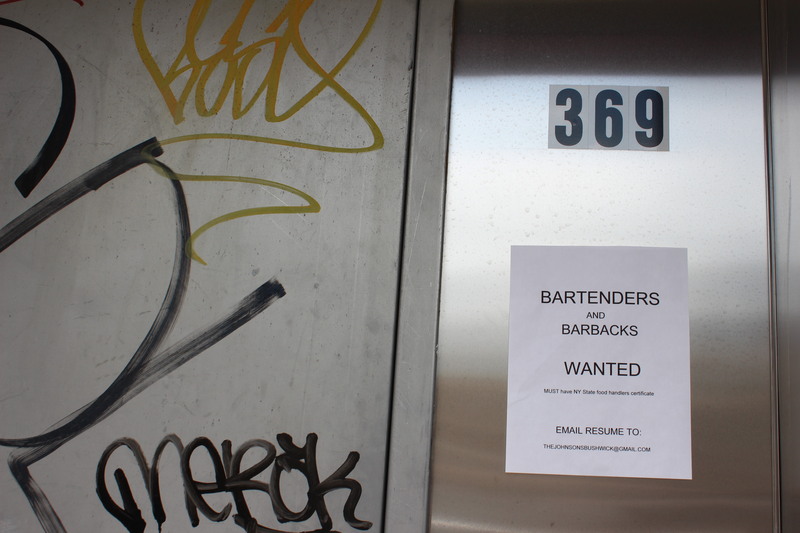 A tipster spotted this call for bartenders at 369 Troutman Street, between Irving and Wyckoff Aves. The State Liquor Authority’s website says the license is still pending — we’ll let you know if we hear more.